As part of our promised to keep you up to date on all things Plantera DX related, here it goes, the Japanese eShop now has a listing up for Plantera DX! 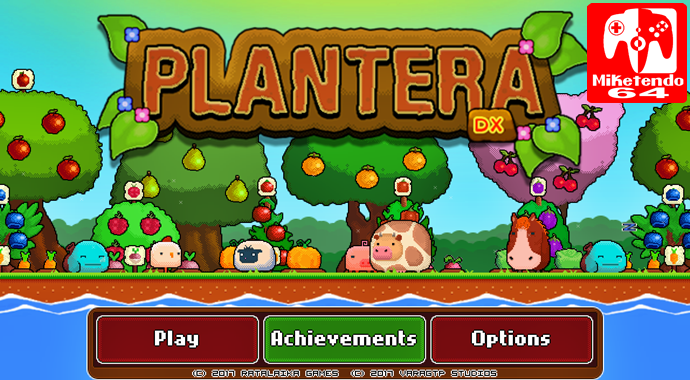 Plantera DX will launch on the 8th of June. Requires around 70MB to download plus save space (this comes straight from Ratalaika Games who handled the port, as file size is not mentioned in the listing. Ratalaika also backed up the release date.) Price is set at ¥500 and the languages supported includes Japanese, English, French, Russian, Spanish, German, Simplified Chinese and Traditional Chinese. But just in case you require a reminder as to how Plantera DX for Switch differs from the Wii U and 3DS versions of the game, be sure to click on the link below as our previous Plantera DX article has all the answers.